This E-Crane newsletter is the first issue of a monthly communication with our valued clients and associates of E-Crane International. The purpose is to promote networking, share ideas and update you on exciting new projects. There will be feature stories on topics such as our organization, important projects, new developments, and maybe even individual employees. 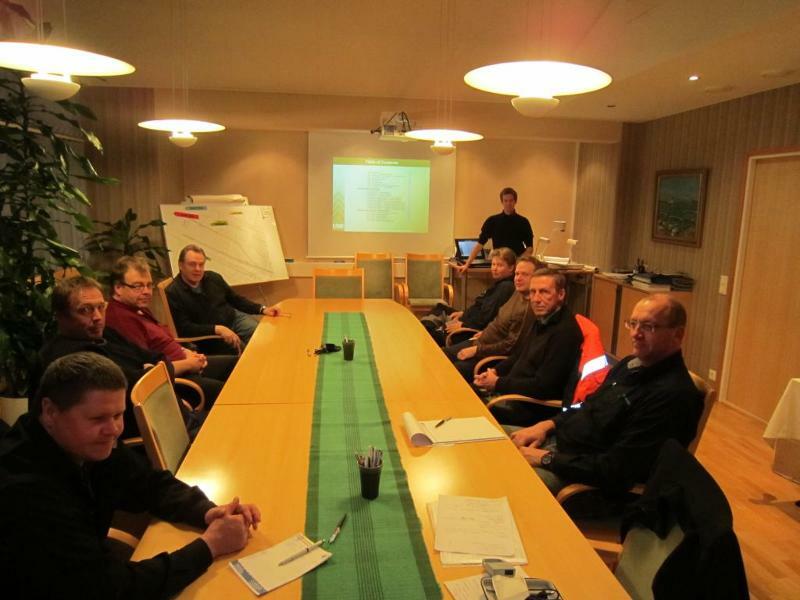 This is done with the express purpose of promoting growth, excellence and integrity within the E-Crane� organization. You can always "opt out" but we hope you find the information insightful and we look forward to receiving your feedback. 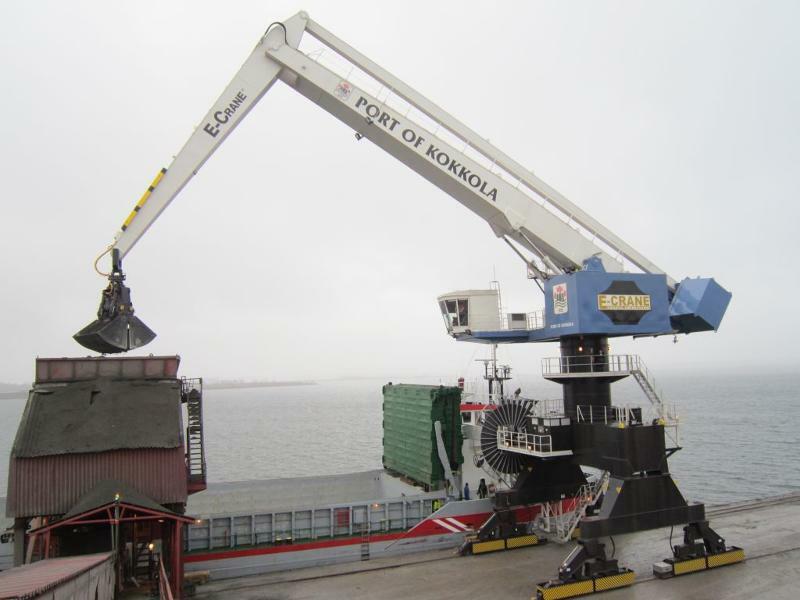 - Multifunctional crane improves unloading efficiency"
Featured Article #1: Port of Kokkola, Finland. 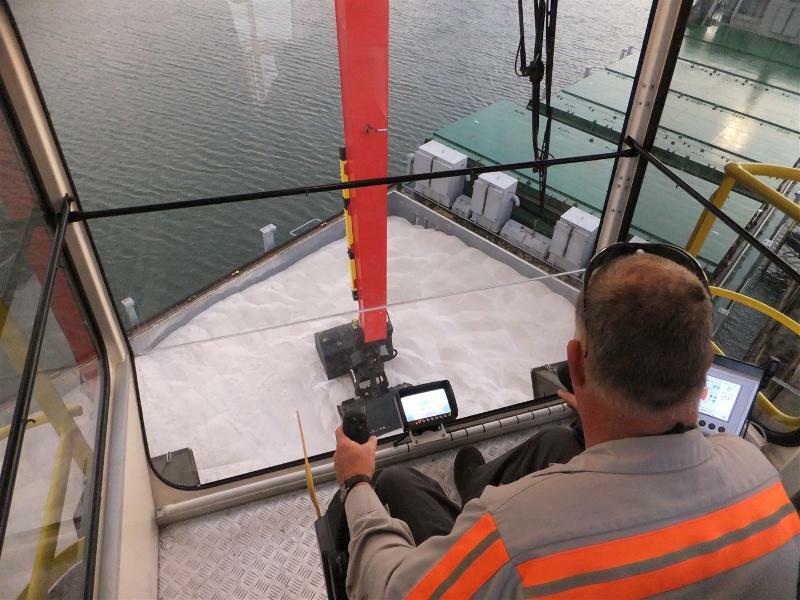 New E-Crane� offloading zinc concentrate in an existing dock-side hopper. Installation of the new pedestal mounted E-Crane� in Tampa began in early December 2010 under the direction of Steve Suter, E-Crane� Service Manager. 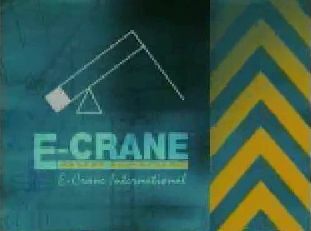 E-Crane Company DVD #2: Material Handling. Impressive new 2000-Series E-Crane� for the Port of Kokkola (POK) completes the cargo handling facilities at the Deep Port area. 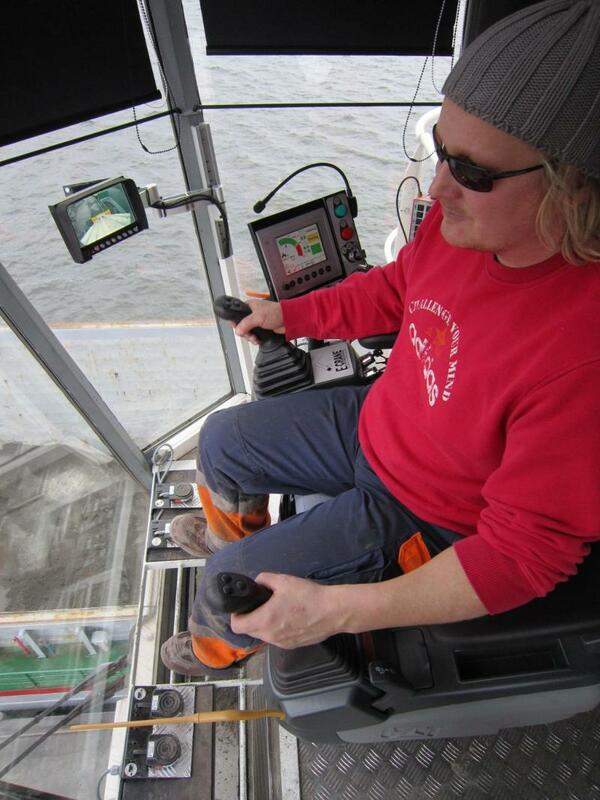 After two weeks of intensive testing and advanced operator and maintenance training, this date marked the completion of the installation of the new 2000 B-Series E-Crane� (model 17359 GAE) at Kokkola's Deep Port dock. E-Crane operators are always working in a comfortable environment where they can concentrate on what really matters: moving material in an efficient, safe and comfortable way. 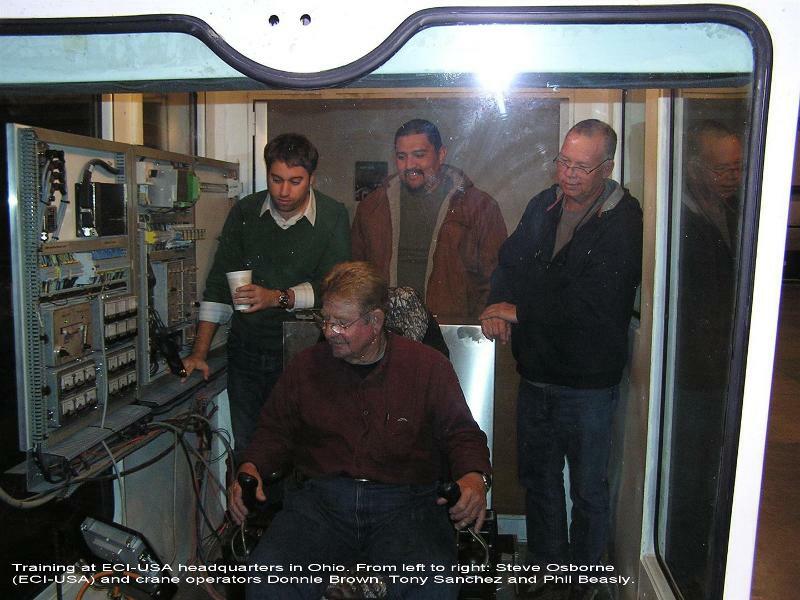 This means that E-Crane's computer systems are designed to make life more easy, not more complicated ! Today the Port of Kokkola has commercial links to countries and places all over the world, and cargoes provided both by local customers and by the transit traffics pass through the port. The Port of Kokkola is the largest of the four major ports located along the coast of Ostrobothnia and now has a draft of 13 meters. Kokkola is one of Finland's three deep-water ports. Panamax size vessels can now safely enter the port fully loaded. Dry and liquid bulk cargoes, containers and general cargoes provided by both local and transit customers are handled in the port. Cargo handling capacity increased from 3 million tons in the beginning of the 1990-ies to today's 7 million tons. The port offers a wide range of both covered and open storage areas, and additional facilities are constantly built, whenever required. A total of 529 vessel called the port in 2001 to load or discharge metals, concentrates, talcum, chemicals, liquid bulk cargoes, zinc, sawn timber, general cargo and containers. Newly commissioned 1500 Series E-Crane� indicates growing partnership. 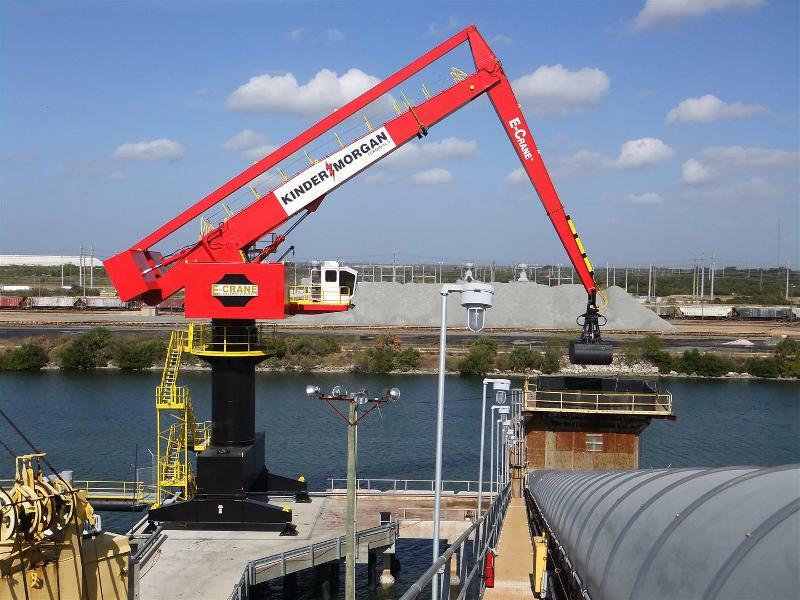 17-Jan-11 (Tampa, FL) - A brand new 1500 Series E-Crane� has successfully offloaded its first vessel for Kinder Morgan Terminals location at Port Sutton; a second machine for Kinder Morgan who commissioned a rail mounted 1500 Series E-Crane� in Columbus, MS, back in 2008. Installation of the new pedestal mounted E-Crane� in Tampa began in early December 2010 under the direction of Steve Suter, E-Crane Service Manager. Using water based support equipment, Suter and crew erected the crane in one week. One week of hydraulic and electrical installation followed by a third week of testing, tuning and touch-up work which concluded on 20-Dec-10. Kinder Morgan is the largest independent terminal operator in North America with more than 180 terminals handling or storing bulk, chemical and petroleum products. 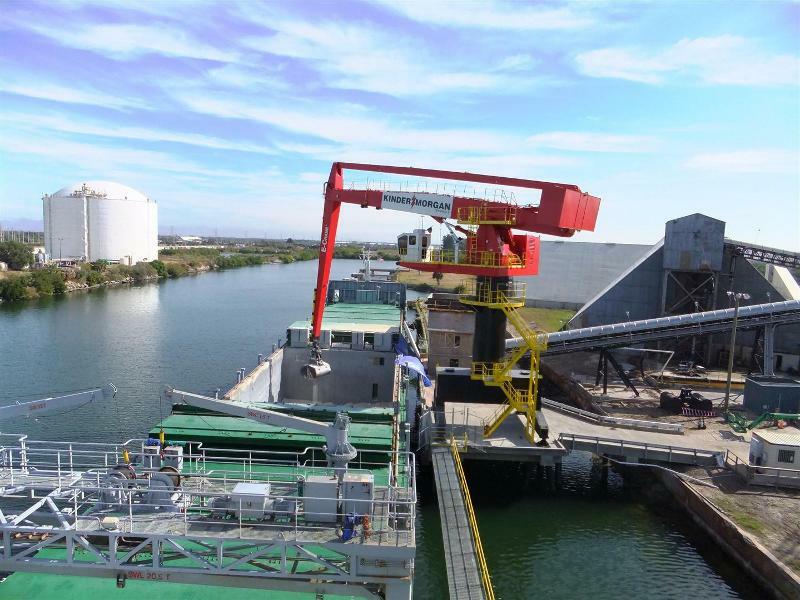 The Port Sutton Terminal sits on 16 acres with 700 feet of private dock along the Port Sutton Channel within the Port of Tampa complex. The terminal has inside storage capacity of 200,000 tons and is serviced by CSX railroad.